Shirts With Random Triangles: Georgia adds five-star defensive tackle prospect Travon Walker to its 2019 football recruiting class. 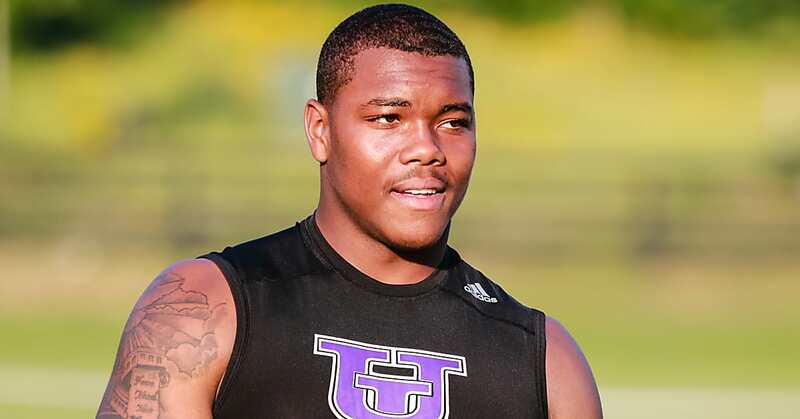 Georgia adds five-star defensive tackle prospect Travon Walker to its 2019 football recruiting class. Travon Walker. Image via DawgNation. Georgia has added a thirteenth member to its 2019 football recruiting class, and its a blockbuster. Highly-ranked Thomaston, Georgia rising high school senior defensive tackle Travon Walker announced his commitment to the Bulldogs on Tuesday. 247Sports grades Walker as a composite five star defensive tackle prospect. The recruiting site’s composite prospect rankings for 2019 rank Walker at no. 2 among DT prospects, at no. 5 among prospects in the state of Georgia, and at no. 2 nationally. Walker attends Upson-Lee High School in Thomaston, Ga. He stands 6’5, and weighs 272 lbs.